There might be many reasons why your need your own digital identity. Digital identity in terms of your blog or site representing as you in the entire cyberspace. If you have a WordPress blog or site, you can use the URL of your blog as a digital identity, the usage might be many including OpenID appreciation which allows you to log in to sites that support OpenID. Basically, OpenID is an open standard that allows users to authenticate to websites without having to create a new password. Setting up my blog as an OpenID provider means I have one more alternative way to login/link to 3rd party services that support OpenID. Revealing your site as a promo (in a sort, right?) rather than email address to harvest to the spammers. Future safe – portability option in case you want to switch the OpenID providers. How to make WordPress blog an OpenID? Step 1. Install a WordPress plugin “OpenID” developed by DiSo Development Team and also install another plugin “WordPress XRDS-Simple” by the same developer – this provides framework for other plugins to advertise services via XRDS. Step 2. 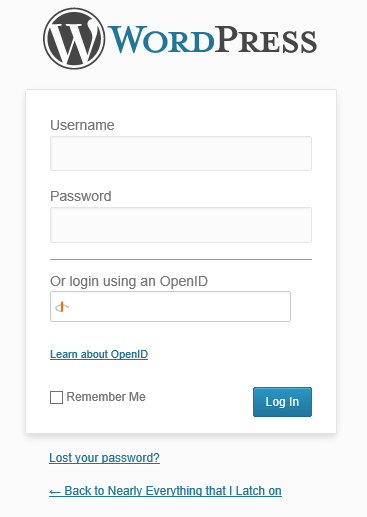 Activate the plugin and open the OpenID Settings to allow authorized users to use their author URL as an OpenID. If you are a single author or the only admin, you can use the entire blog URL. Step 3. Ensure all the settings are performed in the System status as shown in the screenshot here. Voila, ain’t that simple. You can confirm that your WP blog now works as an OpenID provider for you – check your WP blog’s login page or find other blog’s login using OpenID page to see if it works! Fast and furious 6. What you think?